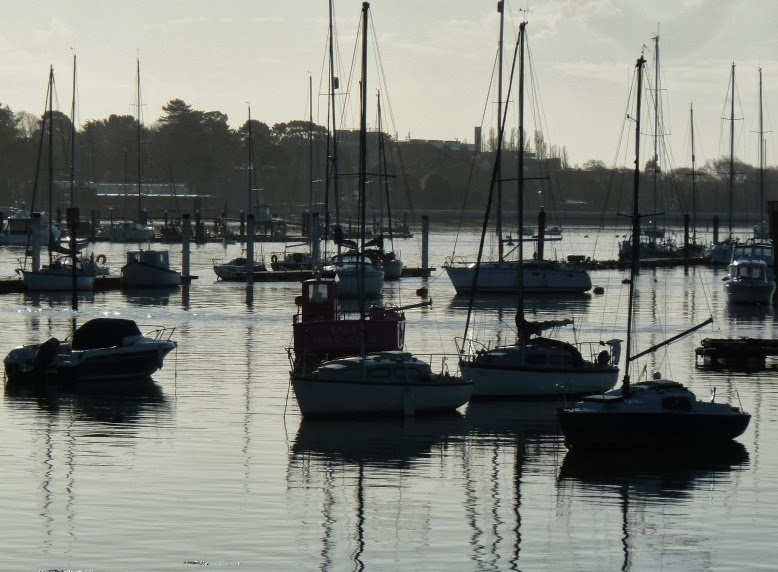 It is a fact that Bursledon enjoys a micro climate, as you drop down off the South Downs past Winchester you can often feel the increase in air temperature. Looking back inland on a sunny summer day it’s not uncommon to see a grey cloud line which builds in the afternoon over Southampton while at the water’s edge we’re still enjoying glorious blue skies and sunshine. Now I don’t know how google profiled advertising works, but on my favourite weather site instead of the more normal adverts for loft ladders or deals at local marinas , just recently I’m bombarded with lingerie adverts. 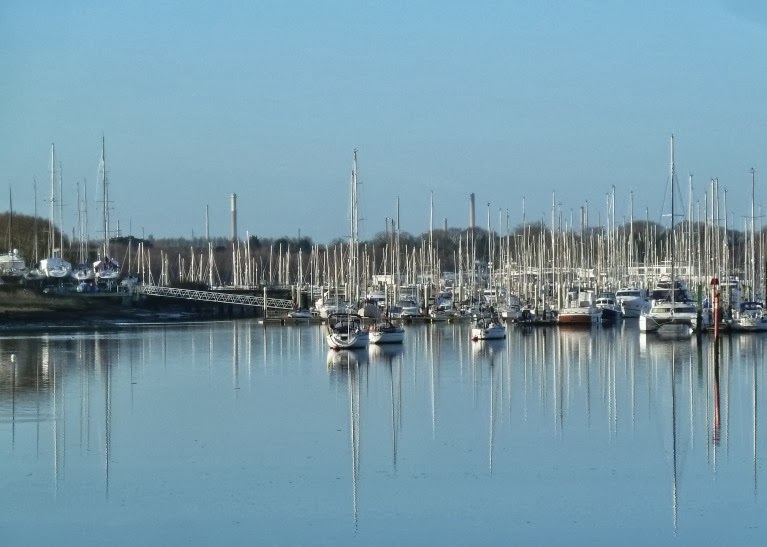 It might be because daughter Katy has been staying with us and doing some internet shopping, but whatever the reason it just goes to prove the point that we do indeed get better weather in Bursledon. I spotted this classic a while ago, but haven't had the chance to get up close with good light for some pictures until last week, so here she is. What a fantastic sheer, those up swept bows must be great for punching into oncoming waves. I thought it was possibly a design by Kim Holman, with that characteristic transom hung rudder reminiscent of his famous Twister and Rustler designs, were it not for the stepped coach roof. But fellow blogger Patrick has identified it as the work of Alan Buchanan. 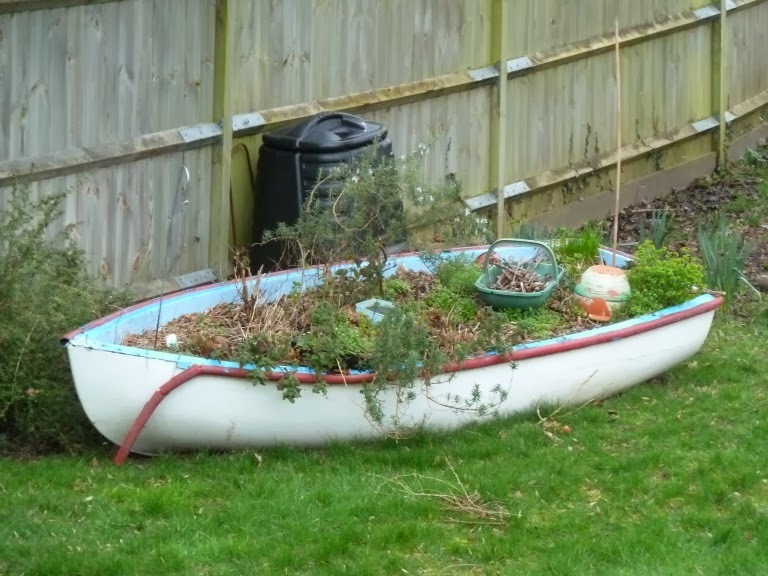 So President Viktor Yanukovych isn't the only person to have a backyard boat (see Proper Course post) admittedly ours is somewhat less ostentatious, but it normally provides a good summer crop of fresh herbs, hence it's name "the herb Boat" and fortuitously the recent floods haven't carried it away - touch wood. We may not have the private zoo, but with thanks to Mrs BB's efforts over winter, we are approaching a wildlife obesity crisis, there are squirrels too fat to climb trees and birds who struggle to take off having gorged on the daily feeds she puts out in the bad weather. Last Sunday brought a brief but welcome break to the recent storms, the night sky had been clear and bright, lit by a full moon, so I took the opportunity to get up and out for an early morning row. 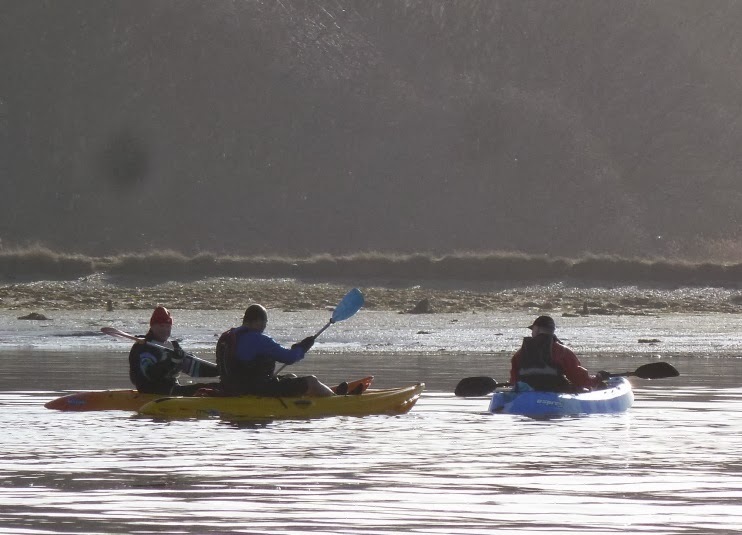 The river was flat calm and I wasn't alone, this group of canoeists had a similar idea. 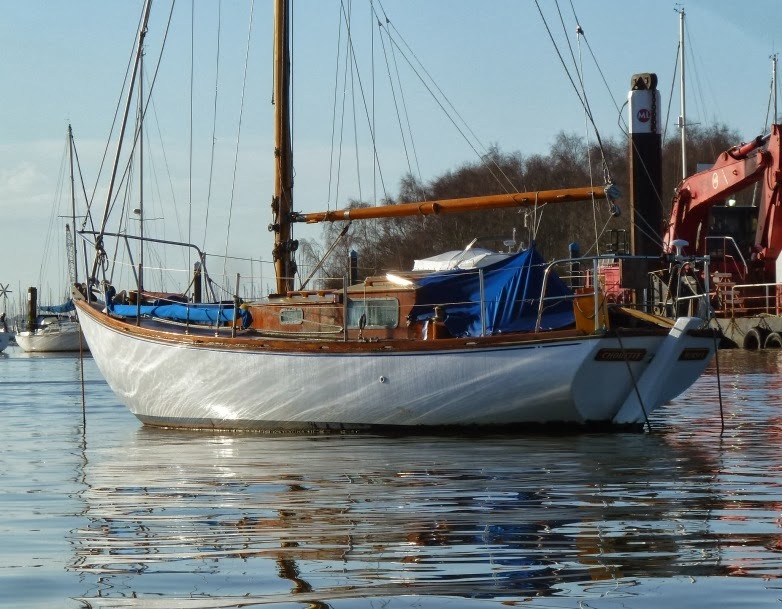 I was relieved to see that Matilda Emilie was safe and well on her mooring, it had been a couple of weeks since I'd been down to check on her, gusts of 70 knots had been recorded over the preceding Friday night. 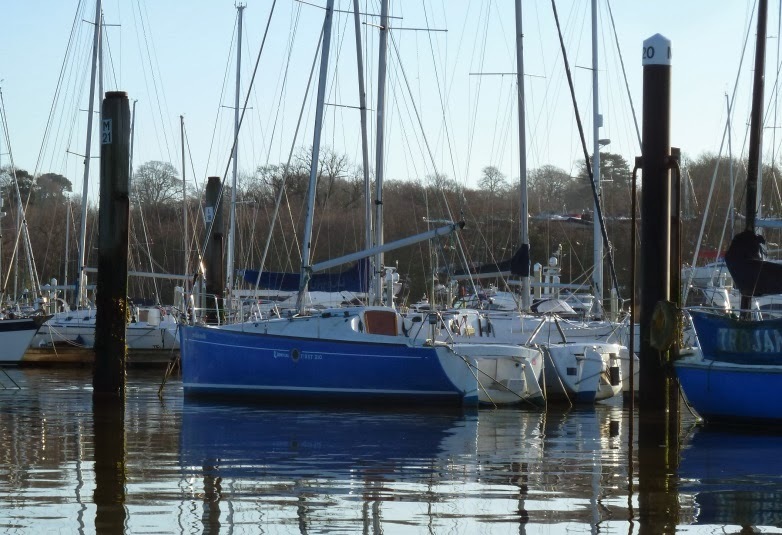 Down in Hamble for a welcome cup of tea, things were equally quiet and what a welcome change to be able to sit outside for breakfast in the sunshine, it's been a long winter and I suspect not quite over yet. 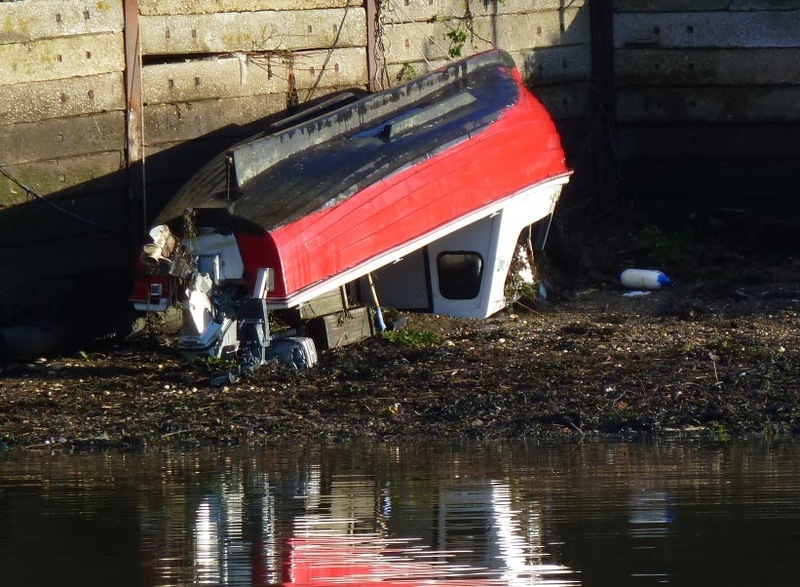 The Hamble River mooring Holders Association sent out a newsletter saying that during the recent storms two boats sunk and another was swamped. Given the intensity of the storms with 3500 boats packed into the river perhaps that not such an unexpected statistic. Whether this was one of the sunk or swamped I don't know, it was still stranded up on the hard on Sunday morning, which was warm, bright and flat calm. The Hamble Harbour Office staff came in for praise and thanks, some coming in to work over the Christmas holiday to help with the emergencies. Apparently over the winter they have replaced some 400 meters of mooring lines, which presumably were broken or inadequate. 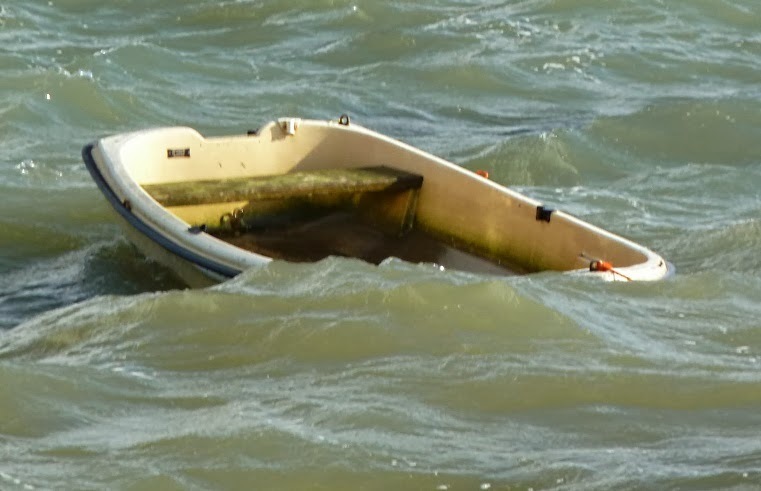 The situation a little later at HW suggests that maybe this boat was beyond it's point of vanishing stability. Chichester is a huge natural and normally protected harbour but with a big spring tide and a westerly gale howling across the harbour the moorings were taking a pounding. 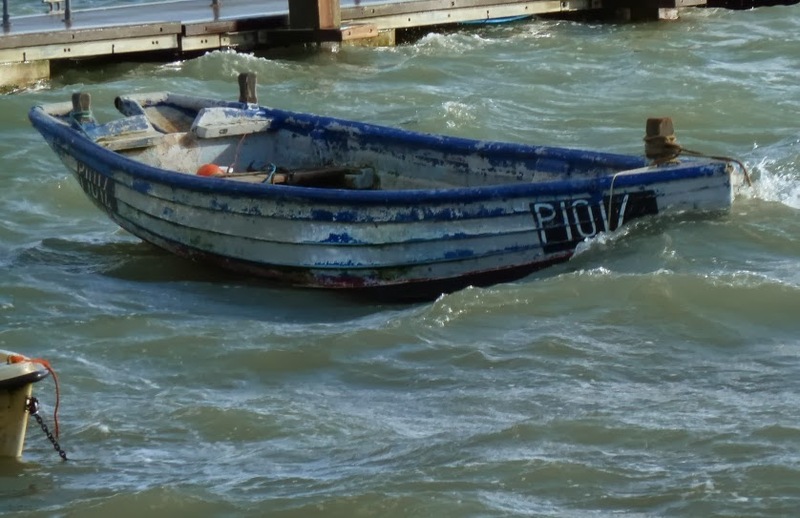 This dinghy was gradually filling and by the time we passed on our way back to the car it had disappeared. 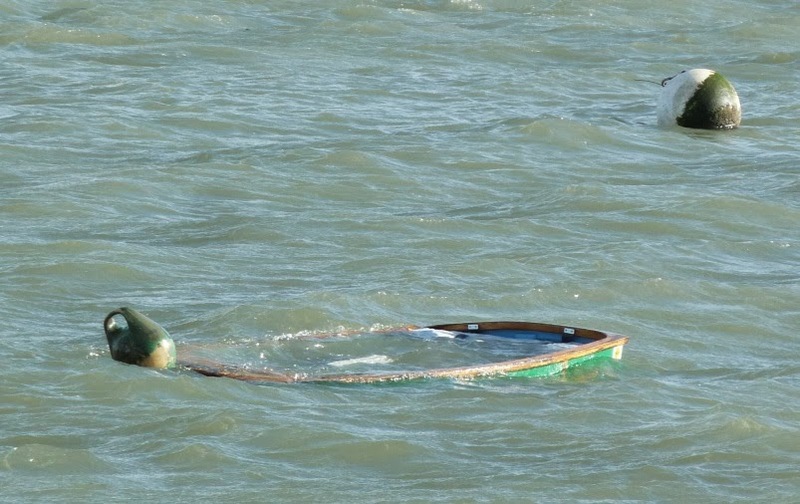 This one had already sunk, just about held up by the closed buoyancy. 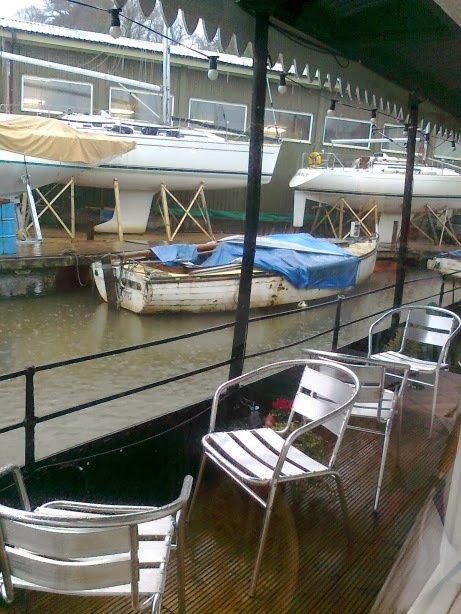 So where else would your love one take you for a romantic valentine's day lunch but a restaurant in a boat yard? 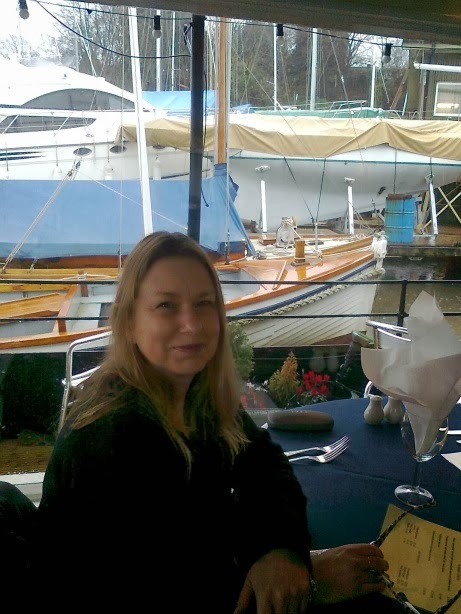 I booked a half day off work to take Erica out for lunch and she booked the Ferry Restaurant which is located on the Old Floating Bridge Ferry in the Elephant Boatyard. Our stormy weather brought another howling gale through in the morning, so we arrived in pouring rain to find that we were the only people brave enough to venture out for lunch. No matter, we were looked after royally and the food was excellent, so good that we struggled to drag our selves away in time to collect Joseph from school. If not exactly a hot date, more of a wet and rainy one, we talked about all the things we've done in the past 19 years together, enjoyed the food and the attention and each other. 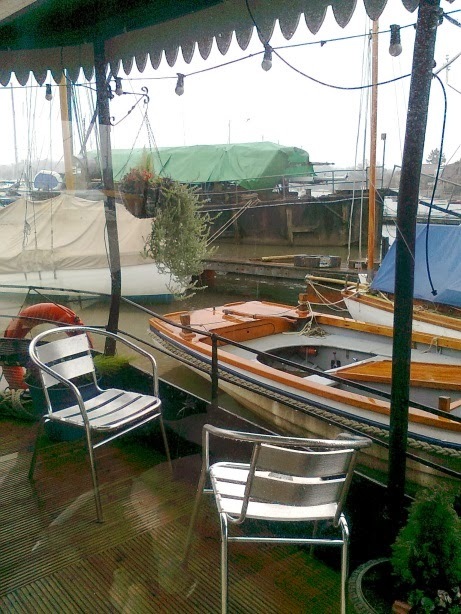 Good food, interesting old boats and the one you love, doesn't get much better. 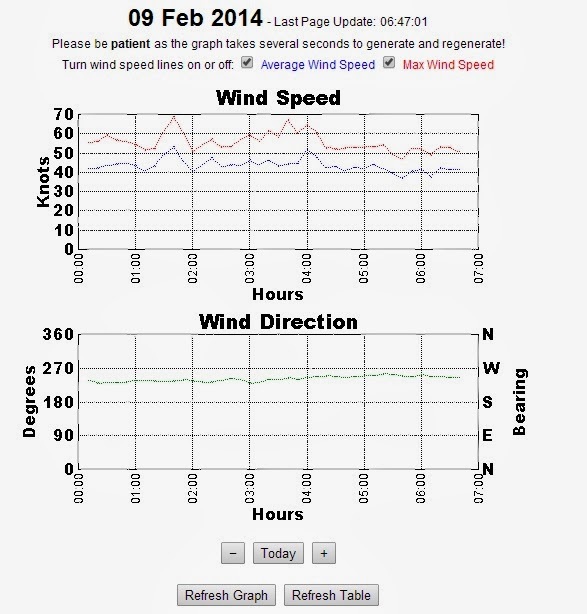 If not quite the hurricane force winds which were being predicted in the media, it's been a bit of a breezy weekend, most of Saturday afternoon it's been blowing at an average of over 40 knots with gusts over well into the 50's. 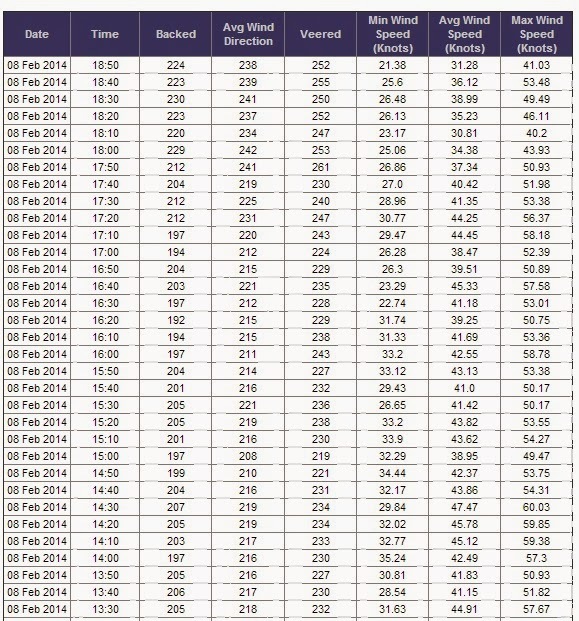 The recordings above are from Hurst Castle wind data for Saturday, which is one of the more exposed points in the Solent, forecast winds along much of the south and south west coast were similar, fortunately we're on a neap tide with lower, high water levels than a week ago if that makes sense, but I'm sure it's been a challenging day at some of the more open and exposed places along the coast. 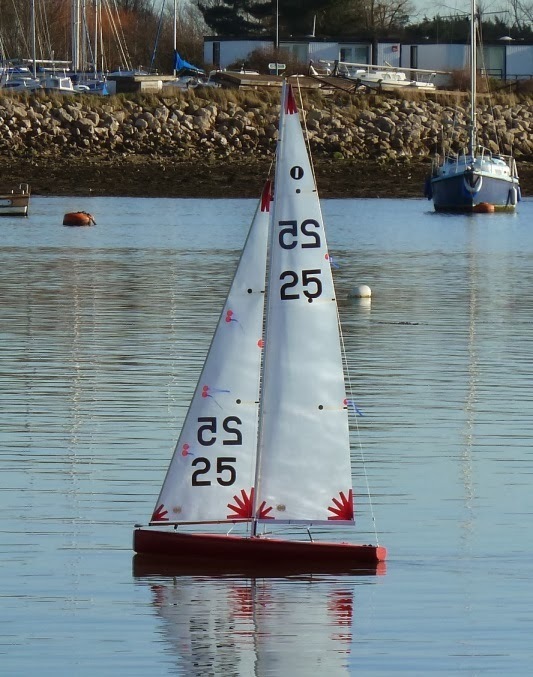 What could be nicer on a clear and sunny winter's day than going sailing, the problem is that the good weather is brought about by high pressure and a lack of wind. 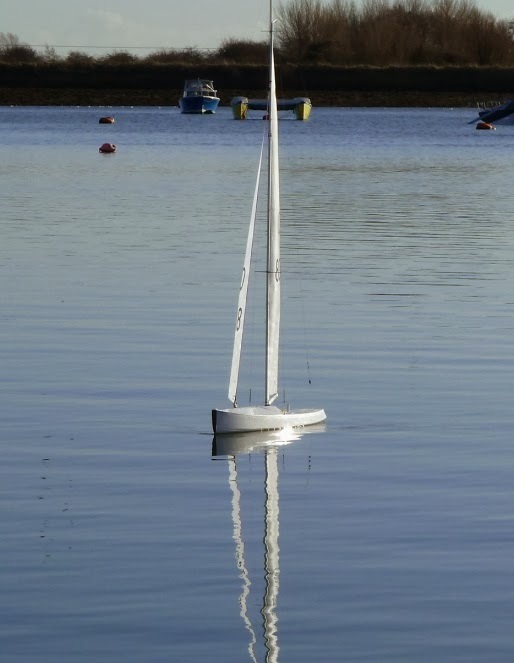 Down at Emsworth members of the Slipper Sailing Club have just the answer with a fleet of radio controlled model yachts. 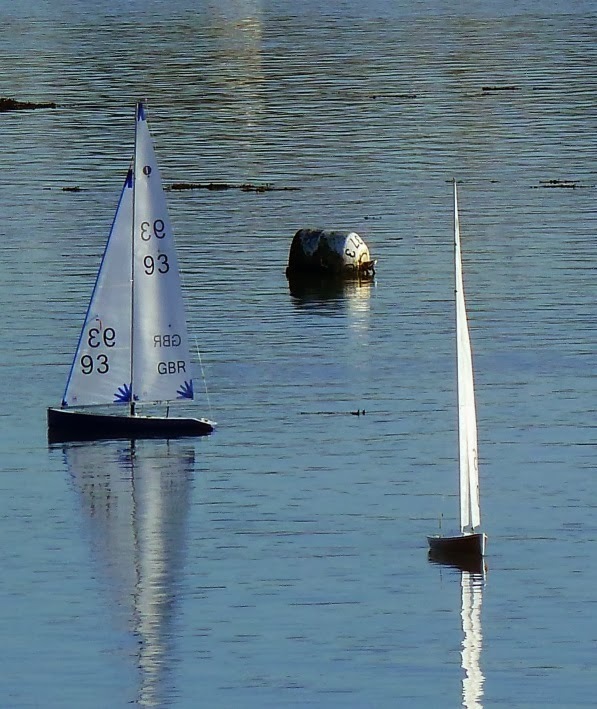 Sailing often takes place on the mill pond right outside the club house, but these boats were sailing out in the main channel off the town pontoon. Most were 1 meter class they are feather light but even so catching the tiny zephyrs and making way against the ebb tide was a challenge at times. 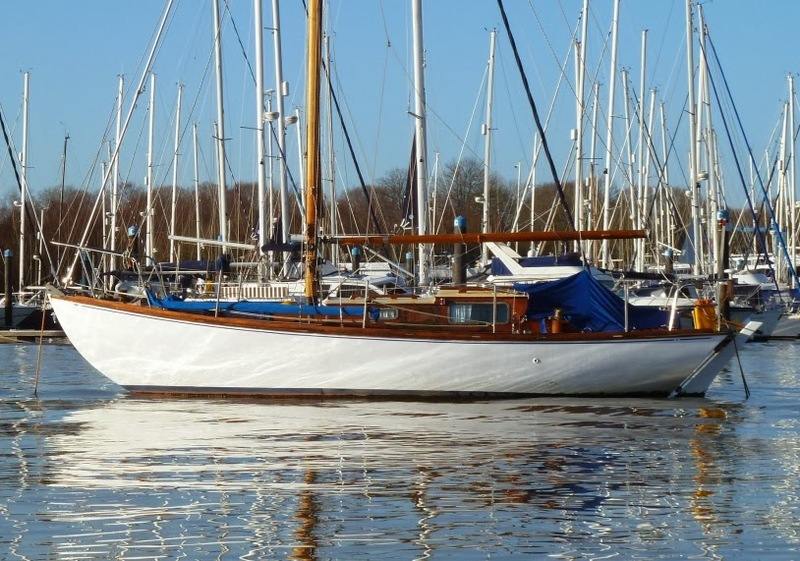 While our roving reporter (Mrs BB) was out and about she spotted this classic yacht being hauled out at a local yard. Knowing my interest in such things she took a few pictures and had a chat with the owner. The boat is apparently a Heatherington Smyth design, built in Flushing in Cornwall, she didn’t get the date but my guess would be 1960’s or early 70's. 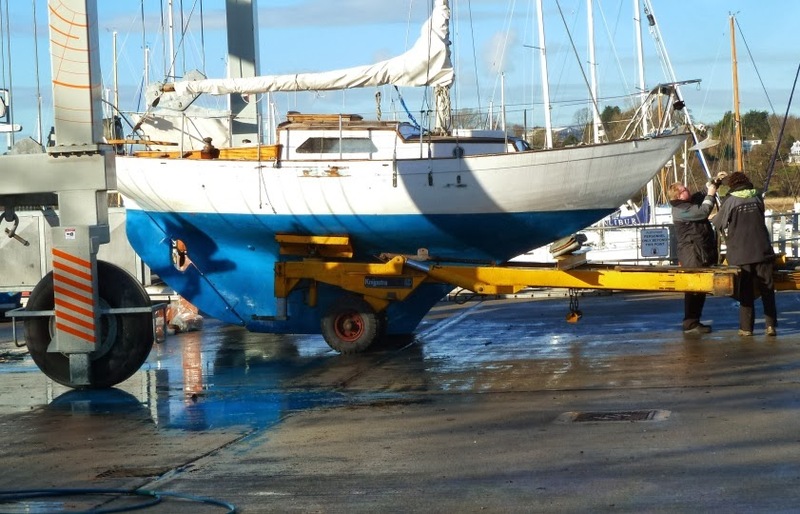 The boat has been Portsmouth based for many years before moving to Hamble where she was laying on an exposed mooring during the recent storms and sustained some damage to the rail. 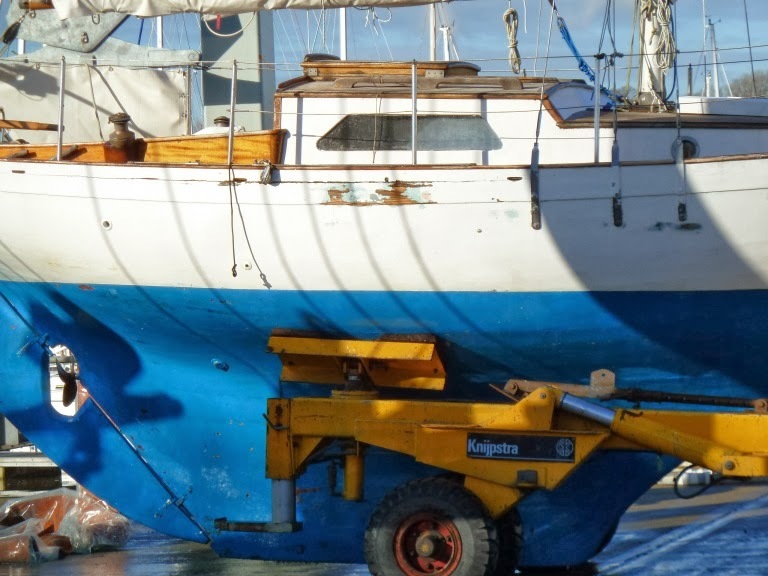 When I was passing through the yard at the weekend she was ashore and propped up ready for work. 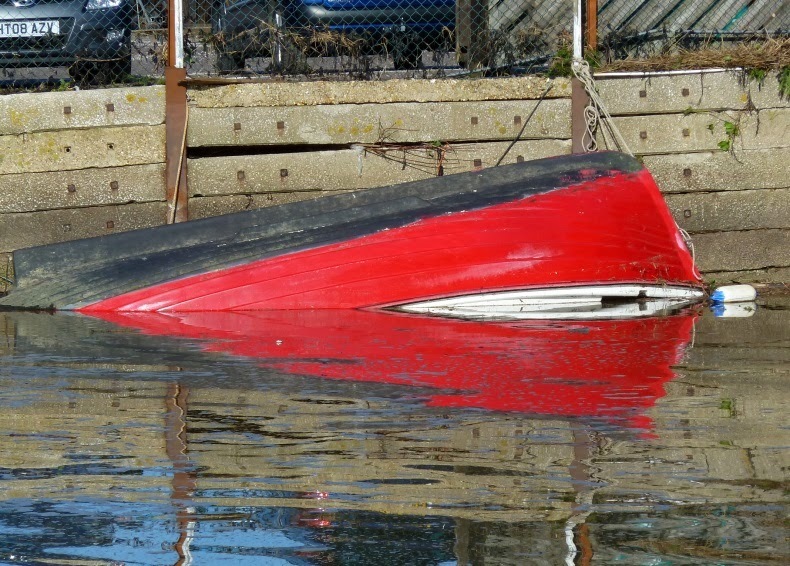 Hopefully the damage is only superficial and we will see her back in the water soon.